Is there any straightforward way to sync the contacts from Macbook to iPhone? There are a lot of people are trying to seek a solution to transfer contacts from Macbook to iPhone on the Apple support forum. Actually it is easy enough to sync contacts from Mac computer to iPhone and there are a couple of different ways. 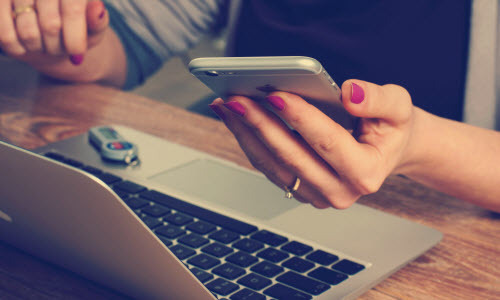 Set up an iCloud account on your phone and enable contacts syncing. Then sync your Mac with your iCloud account as shown here: http://www.apple.com/icloud/setup/mac.html, and enable contact syncing. If you don’t want to use iCloud you can sync your contacts using iTunes. If this is your first sync, be sure there is at least one contact in Address Book/Contacts on your Mac. Then select to sync your contacts on the Summary tab of your iTunes sync settings and sync. When you sync you should get a merge or replace prompt for contacts. 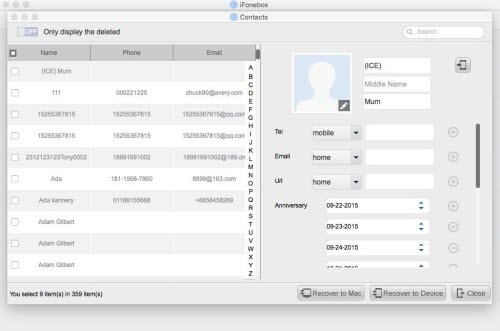 If you want to merge the contacts on your phone with those on your Mac, choose Merge. If you want to replace the contacts on your phone with those on your Mac, choose Replace. If you have backed up your iPhone to Mac through iTunes to Mac, you should have an iTunes backup file saved on your Mac computer. To transfer the contacts selectively to your iPhone, you can use iFonebox to extract contacts from iTunes backup file selectively. Here is how. > Select an iTunes backup file from which you would like to extract the contacts selectively. Note: If you cannot find your iTunes backup file, please click “Select more” to locate your iTunes backup file from your Mac computer. > Wait until the data scanning and analyzing is finished. > Preview the exported contacts and select whatever you want to transfer to your iPhone by clicking on “Recover to Device”. This entry was posted in Backup/Back Up, iCloud, iPhone, iTunes, Tips and Tricks and tagged backup file, contacts, iCloud, iPhone, iTunes, mac, MacBook, transfer, transfer contacts from macbook to iphone by IosdroneD. Bookmark the permalink.